A few months ago I received an email from a person claiming to be a publisher. He wanted me to read a book by someone I had never heard of. I did a bit of enquiring to see if this was for real or they would be later calling asking me to send my bank account information to Pakistan. It turned out that it was all on the up and up. They just really wanted to send me two of my favorite things--something free and something to read! I gave them an address to send the book and promised I would mention it one day here. After Christmas and a few personal issues, I finally made it through the book. Please don't think that the book was a struggle. Actually I was pleasantly surprised to find that I really enjoyed it. Making time to read was my personal challenge. Like any other non-fiction book that I read, I read this one with a check-out receipt nearby. I use the receipt to rip and mark pages that strike me for some reason. This book got eight of my fancy bookmarks. Not bad! Chuck Eichten provides a very basic explanation of what diabetes is. We have all used the car model whereby we tell people that glucose is the fuel that makes the body run just like gas is the fuel that makes a car run. The book of Better. Life with diabetes can't be perfect Make it better, suggests that diabetes is "as if we sprayed gas all over the car but never opened the gas cap." I thought that was a great visual for people who have no clue. Mr. Eichten uses humour to get his point across in a wonderful way. He is matter fact about the reality that we are simply people trying to a job we were not taught to do...be a pancreas. We can only do our best and aim for "better". The book also makes a lot of use of color. Personally that is a problem as well as a positive feature. I love the boldness in such pages as 110, when he notes that "In 1921, the life expectancy of a person diagnosed with diabetes was less than 12 months. In 1922, life expectancy was more than 12 years. In 1921, if you had diabetes you died. In 1922, you lived." The choice of black, white and yellow poses a real problem when you are trying to read at night. Between aging eyes and colored print, I often missed key points due to the frustration of not being able to properly see what I was reading. I also appreciate Mr. Eichten's pro-pumping take. I personally agree that pumping is the best method of insulin delivery. I love, love his illustration of the number of injections (portrayed by small yellow dots) you would take in ten years versus the small yellow box of infusion set insertions. I like that he notes financial restraints may be a huge hurdle for many. He turns to governments and pump companies to change this. The book of Better. Life with diabetes can't be perfect Make it better takes a stab at the issue of children with diabetes. I agree with him to a degree. Our children are a lot more flexible than we think. As parents, we are a lot less flexible than we could be. I think that some children still have huge issues with this lifestyle change but again, agree that ultimately children learn from parents. I have always said that my job as a parent of a child with diabetes is to learn all I can and then teach all I can to my son. His job is to use these tools wisely. All in all the book is great. If you want a touch of humour to give you a kick in the right direction, The book of Better. 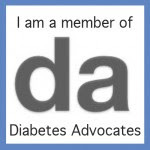 Life with diabetes can't be perfect Make it better may be just what you are looking for. If you are a little older, I would advise reading the book during the day when natural light is plentiful to get the most out of what it has to offer. 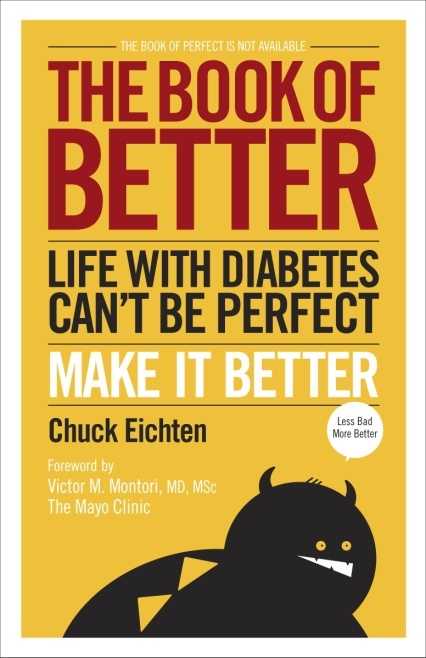 Thank you Jonathan Lazzara for contacting me and thanks to Chuck Eichten for tackling the serious issue of life with diabetes with the right touch of humour! Who knew? I Should have. What if I met an intruder at 3am?